Are you tired of charging your battery evey hour? We are here to offer simple guide on how to make your battery last longer without causing damage to your android phone. Mobile technology is yet to find lasting solution to battery problems, only few phones can last more than 24hours without charging so while waiting to see a better battery technology lets manage the ones we have through setting and softwares. These days mobile phones come with lots of features like HD screens, internet connectivity, music and Video streaming apps, etc. With all these features the need for a better battery technology arises to mach up the pace of mobile demand. There are lots of tweaks and fixes you can use to make out the best of your phone battery which can be found in settings and other utility apps. 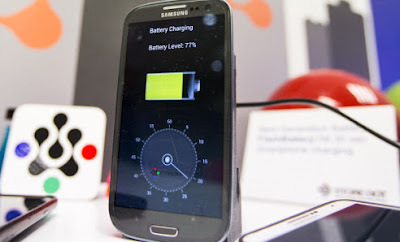 In this article we are going to guide you on how to optimize your android battery life to last longer as you read on. Android screens are HD screens with high resolutions that make them consume a lot of energy. It is lovely to use a bright display but it is not friendly to the battery as it consumes battery more than any other phone component. Rather make use of auto-brightness display which automatically adjusts you phone brightness to suit your environment lightning level. This tip can save more than 20% batter for your android phone if you fan follow our instructions. Turning down your brightness can drastically reduce battery usage and save energy. Android phones have a feature called battery saver which helps to improve battery life by limiting vibrations, location services, and most background data. Email messaging and other apps that rely on syncing may not update until you open them. Vibrations are very important feature most importantly when you are in a noisy environment. For some people vibration is one feature they can't afford to loose on their phone due to the nature of their environment and profession. When your phone vibrates, your device spin up a vibration motor which can seriously drain battery. Removing vibration from your phone can actually make your battery last longer. After using any app swipe the app off to prevent the app from running on background. Before now lots of apps are used as app-killing apps, but after killing some of those apps resurrects back to life. Although Android versions above 4.0 has a new feature in the app menu that makes swapping between apps faster and also to swipe away apps you are not using. Though swipping away apps does not kill them but makes them stop some of their background activities. When the screen is left idle, it continues to consume battery until it sleeps. So it is advisable to reduce the time it takes the screen to sleep say 15 secs is ideal. No doubt fancy glowing and spiral galaxy look good on display, but takes a hell of power to animate. Find something more favourable to your battery and drop those koi pond. Nowadays smart phones make use of two types of display technology AMOLED and LCD. AMOLED works by lighting up individual pixels to create images. But LCD have a backlight that is overlaid by a screen that shutters and displays the backlight to create pixels which compose images. For this reason, a black display is suitable for those using AMOLED display because the display doesn’t have to activate those pixels. While white display is best for LED display as the screen doesn't need to work so hard to create those pixels. There are so many apps that can help in monitoring your android battery life like DU Battery Saver, Avast Battery Saver, Go Battery Saver & Power Widget, Greenify, Green Battery Saver & Manager etc. these apps helps extend android battery life by automating the hibernation process rather than stopping the app. many apps make use of your location while running at background . This drains baterry as the phone is always trying to use your ip adress to update your location.